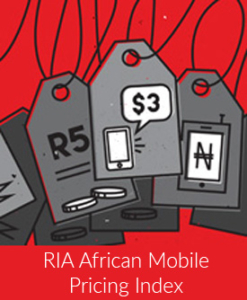 While expansion of mobile networks across the continent continues to be constrained by the failure to assign high demand broadband spectrum, operators are devising ways around this by recycling their spectrum in order to offer high-speed and quality broadband bundles. The range of 4G services now becoming available creates another divide between countries’ ICT sectors, their regulators and their operators. The development of innovative bundles and pricing strategies is helping to facilitate the move away from traditional voice services and towards higher data consumption, as well as demanding price basket adjustments. Other developments can also be seen in the creation of more time-based bundles as well as the appearance of the first data-only provider in Africa – Smile.